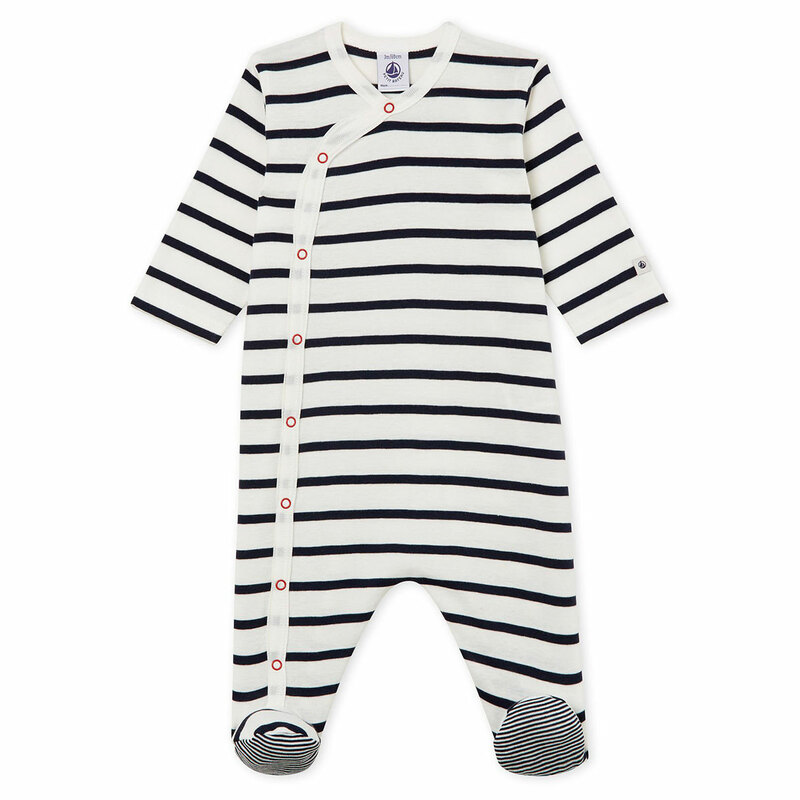 Crafted in a sailor stripe rib, this baby's sleeper stands out with its milleraies stripe foot soles. 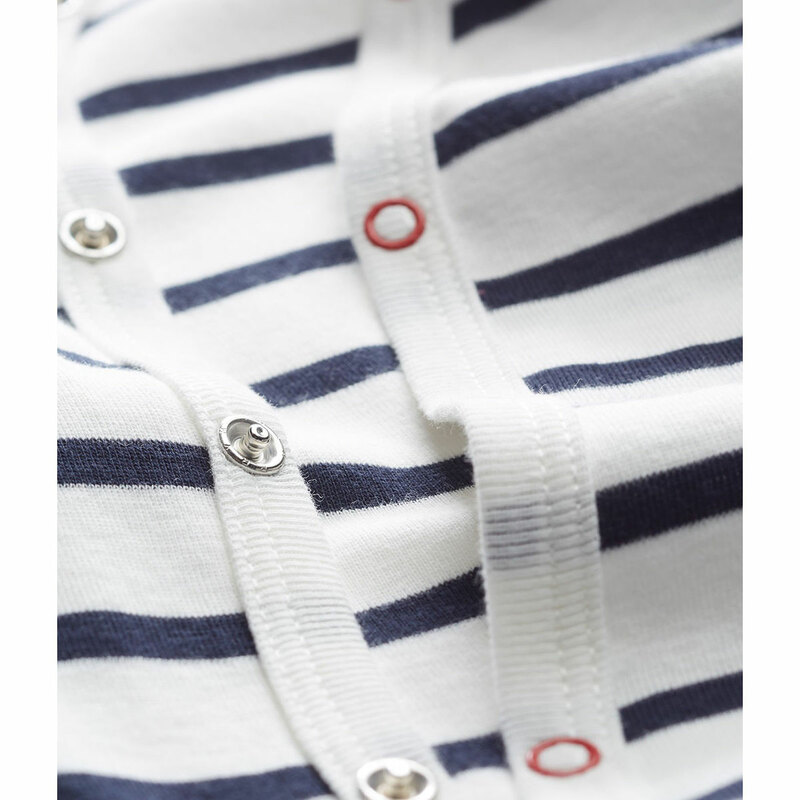 It features a snap button opening, making it easier to change baby. 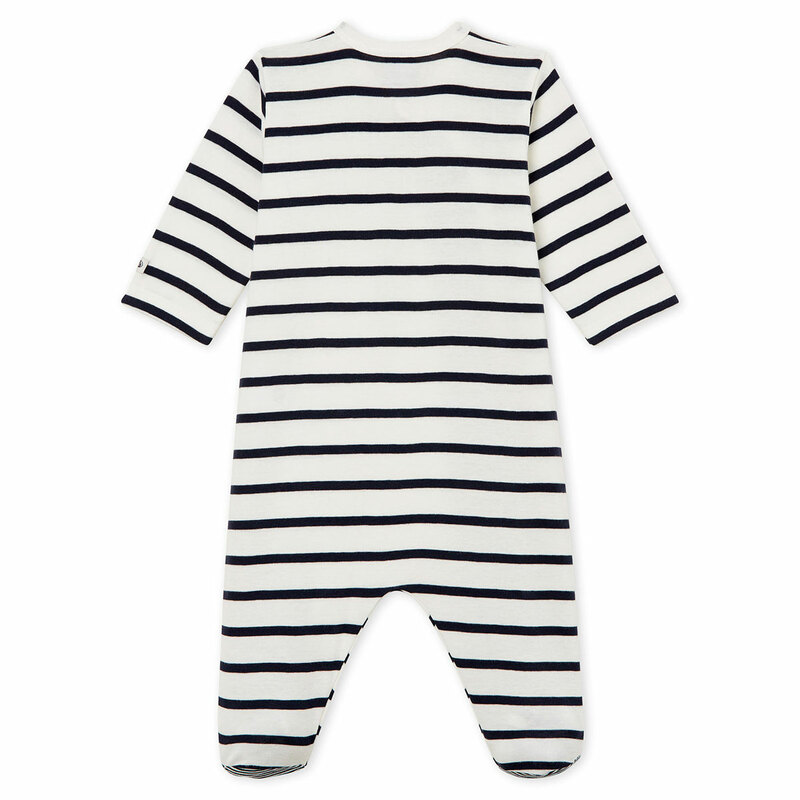 An irresistible baby boy or girl's sleeper that is a brand icon.